Images from the Navy Art Collection will soon be on the set of the hit TV show, NCIS, starring Mark Harmon. 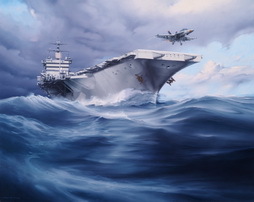 The images featured are reproductions of Morgan Ian Wilbur works: “USS Cornado Rides A Sparkling Sea”, “Naval Air Over Korea”, “Steam For Speed”, and “Turnin’ & Burnin’”. The episode will be shot from March 7th through March 18th. Keep an eye out for the upcoming season that will feature these pieces as set props! “The Street was Never the Same Again” by Norman Rockwell. Detroit Historical Society. Born Norman Percevel Rockwell in New York City on February 3, 1894, Norman Rockwell knew at the age of 14 that he wanted to be an artist, and began taking classes at The New School of Art. By the age of 16, Rockwell was so intent on pursuing his passion that he dropped out of high school and enrolled at the National Academy of Design. He later transferred to the Art Students League of New York. Upon graduating, Rockwell found immediate work as an illustrator forBoys’ Life magazine. His piece “The Street was Never the Same Again” is available for custom reproduction to fit your home decor. See this image on RequestAPrint. By 1916, a 22-year-old Rockwell, newly married to his first wife, Irene O’Connor, had painted his first cover for The Saturday Evening Post—the beginning of a 47-year relationship with the iconic American magazine. In all, Rockwell painted 321 covers for the Post. Some of his most iconic covers included the 1927 celebration of Charles Lindbergh’s crossing of the Atlantic. He also worked for other magazines, including Look, which in 1969 featured a Rockwell cover depicting the imprint of Neil Armstrong’s left foot on the surface of the moon after the successful moon landing. In 1920, the Boy Scouts of America featured a Rockwell painting in its calendar. Rockwell continued to paint for the Boy Scouts for the rest of his life. The 1930s and ’40s proved to be the most fruitful period for Rockwell. In 1930, he married Mary Barstow, a schoolteacher, and they had three sons: Jarvis, Thomas and Peter. 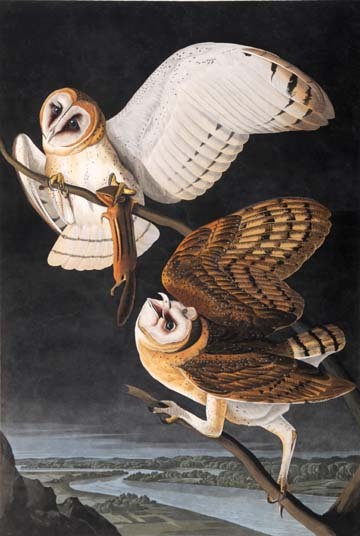 The Rockwells relocated to Arlington, Vermont, in 1939, and the new world that greeted Norman offered the perfect material for the artist to draw from. 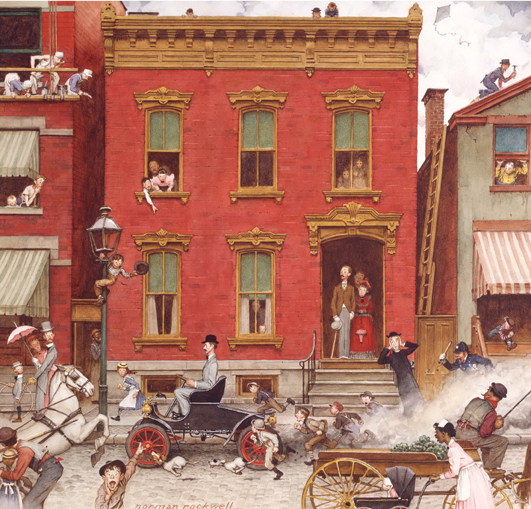 Rockwell’s success stemmed to a large degree from his careful appreciation for everyday American scenes, the warmth of small-town life in particular. Often what he depicted was treated with a certain simple charm and sense of humor. Some critics dismissed him for not having real artistic merit, but Rockwell’s reasons for painting what he did were grounded in the world that was around him. “Maybe as I grew up and found the world wasn’t the perfect place I had thought it to be, I unconsciously decided that if it wasn’t an ideal world, it should be, and so painted only the ideal aspects of it,” he once said. To own your own reproduction of one of Norman Rockwell’s famous pieces visit RequestAPrint for size and pricing on custom features we offer. Click Here. In the development of American Impressionism, Robert Vonnoh is significant both as a painter and as a teacher. He was one of the earliest painters to bring European impressionism to America and his canvases had cool tones and balanced compositions with much capturing of light and atmosphere. He completed more than 500 commissioned portraits, and he had a distinguished teaching career in Boston and Philadelphia. Vonnoh was born in 1858 in Hartford, Connecticut and raised in Boston. He studied at the Massachusetts Normal Art School in 1875, and attended the Academie Julian in Paris in 1880. There he studied with Gustave Boulanger and Jules Joseph Lefebvre. In 1883, he returned to Boston where he taught at the Cowles School in 1884 and at the School of the Museum of Fine Arts in 1885. 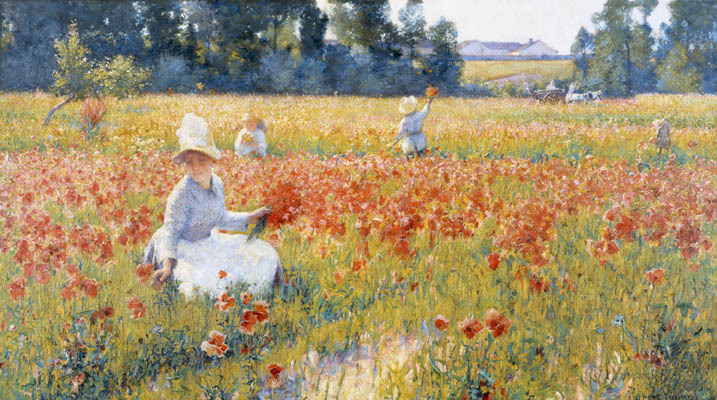 The piece “In Flanders Field – Where Soldiers Sleep and Poppies Grow” is available for reproduction through the RequestAPrint gallery page found here. Vonnoh studied French Impressionism and was impressed by Claude Monet, whose influence can be seen in his works of colorful landscapes and bright flowers. His painting at this time also demonstrates the dichotomy of many American Impressionists. Some of his works are almost Fauvist, with raw brilliant colors and paint laid on with wide brushes or palette knife, as in his painting “Poppies” in 1888. Other works from about the same time are done almost entirely in neutral tones, as in “Companion of the Studio”, a solid three-dimensional portrait of John C. Pinhey, who was a fellow student at the Julian Academy. To see his legendary piece and order a reproduction for your own home visit RequestAPrint. Mitzura Salgian is a Fine Artist with a masterful technique and reverence for detail. Her distinctive style is rooted in the Baroque richness of imagery and the Surrealist sense of marvelous to which she was drawn since her early teens. Mitzura is an American artist of Romanian origin. She was educated in her native city of Bucharest, where she received MFA from the Fine Arts Institute. Museum in Neenah, Wisconsin; the National Arts Club, the Salmagundi Club Galleries and the New York University Washington Square East Galleries, all in New York City; the Attleboro Arts Museum in Attleboro, Massachusetts; the Turtle Bay Museum in Redding, California; the Danville Museum of Fine Arts And History in Danville, Virginia; the Huntsville Museum of Art in Huntsville, Alabama; the Museum of Texas Tech University in Lubbock, Texas; the World Bank Auditorium in Washington, District of Columbia. Mitzura’s work is part of the permanent collection of the New Britain Museum of American Art. 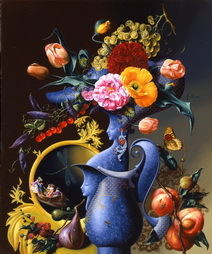 Recognized in art shows and competitions, Mitzura received medals and awards for her paintings. Among them: the Gold Medal of Honor, Audubon Artists; the Silver Medal of Honor, Allied Artists of America; New Britain Museum of American Art Award for Oil Painting; Best in Show Painting and Utrecht Award of Excellence, 27th Ellarslie Open at Trenton City Museum; Dorothy Barberis Memorial Award and Tamsin L. Holzer Memorial Award, Catherine Lorillard Wolfe Art Club; Midyear Show Honorable Mention Award, Butler Institute of American Art; Midamerica Pastel Society Award, Pastel Society of America; 4th Place in Show, Connecticut Academy of Fine Arts; Award of Excellence, Society of Newspaper Design; Certificate of Merit, Society of Illustrators and Museum of American Illustrators. Mitzura created Editorial and Book Illustrations for clients like The New York Times, Gulf+Western, Games and Health magazines and she was commissioned by major publishers: Random House, Harper-Collins, Ballantine, St Martin’s Press, Scholastic, Bantam, Harlequin, Pocket Books, Dell, Zebra, Thorndike Press. Among Best-Seller Authors whose book jackets have been illustrated by Mitzura Salgian are: Agatha Christie, John Updike, Eric Lustbader, Anne Perry, Jeffrey Archer, Jude Deveraux, Bryce Courtenay, Liza Cody, Lavyrle Spencer, Paul Theroux, Andrew M. Greeley, Diane Pearson, Iain Pears, Linda Lael Miller, Edward Marston, Ann Cleeves. As a Designer, Mitzura created original pieces for companies like Lenox and The Bradford Exchange. Mitzura teaches at Parsons New School for Design – Parsons School of Fashion. She is a member of the Executive Board of the Allied Artists of America.